The Pontefract v Nottingham match provided a fitting climax to what has undoubtedly been a successful season for PSL. Every match in which Pontefract has been involved, home and away, has been played to packed crowds. 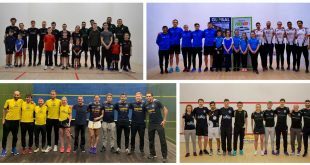 With British Open champion Laura Massaro, Nick Matthew and James Willstrop all on display, small wonder that there was not a seat to be had at Pontefract. 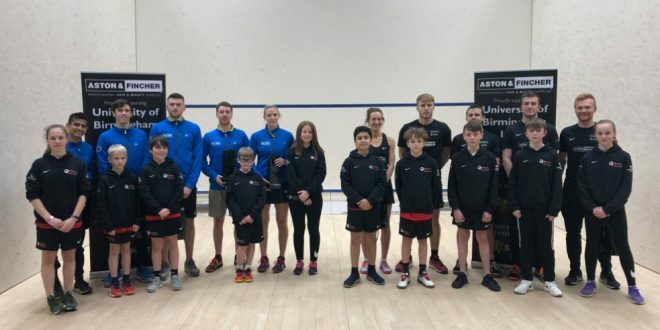 Patrick Rooney, the most talented of England’s younger players, followed his excellent performance against Birmingham with another 3-1 win over Ashley Davies, mixing skill and pace adroitly. 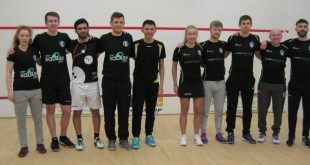 Meanwhile new England International Declan James was two up against Saurav Ghosal, who then won the third and threatened to win the fourth before James clinched it 3-1 to level the match. Richie Fallows always had control over Evan Williams, winning 3-0, and well though Millie Tomlinson played, Laura Massaro won 3-1, the outcome now resting on the top string match between Matthew and Willstrop. Late at night now, but no-one had left and they were not disappointed. 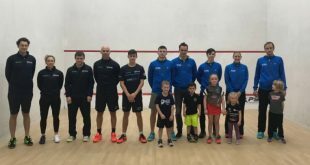 The well known physicality and accuracy of both players was there for all to see and wonder at, and it was Willstrop who won the first 11-9, Matthew the second 11-9, the pace unrelenting. 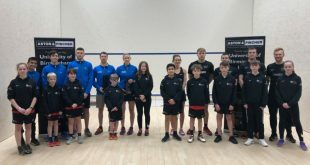 Willstrop had been attacking well, but errors cost him in the third game and Matthew led 2-1, and although Willstrop competed well in the fourth it was Matthew who took it to win 3-1 and give his team a 3-2 victory and a place in the semi-finals. The loss of Chris Simpson seriously affected Pomtefract’s chances of making the play offs, but most importantly the crowds have been well entertained.